Lack of standard controls, SLAs, acceptance criteria and score cards. Contactors – one time rate reductions across the board, bulk vendor discounts and conversion to FTEs. Consultants – policies that establish the unique situations where high priced consultants are used to help make better decisions. Maintenance & Support – R3P has reduced costs quickly via self-audits to reduce unused or misused licenses. Your organization may benefit from R3P reviewing your vendor portfolio & spend, and creating a strategic road map. The actions on the road map consist of policies, tactical negotiations, vendor consolidation, RFPs and change projects. We will always identify immediate low hanging fruit and frame a one-time event to get costs down and better control. Some of the initiatives below are longer and more strategic in nature, and should yield big savings. Maintenance & Support maintenance consolidation to a 1-3 vendor(s) and/or by establishing policy & guidelines to establish thresholds and standardization. Telecom – R3P has run many telecom RFPs to significantly reduce spend and provide better service and capacity. It is amazing how the Telecom price-performance curve improves yearly to provide better capabilities and capacity at lower prices. Outsourcing – R3P has improved outsourcing price/performance many times via renewal optimization, turn-around efforts or RFP event. An ongoing life-cycle approach will be required to sustain the benefits. We apply a holistic approach to vendor consulting and management that aligns IT, HR, Legal, Procurement and Compliance to ensure successful transformational change. 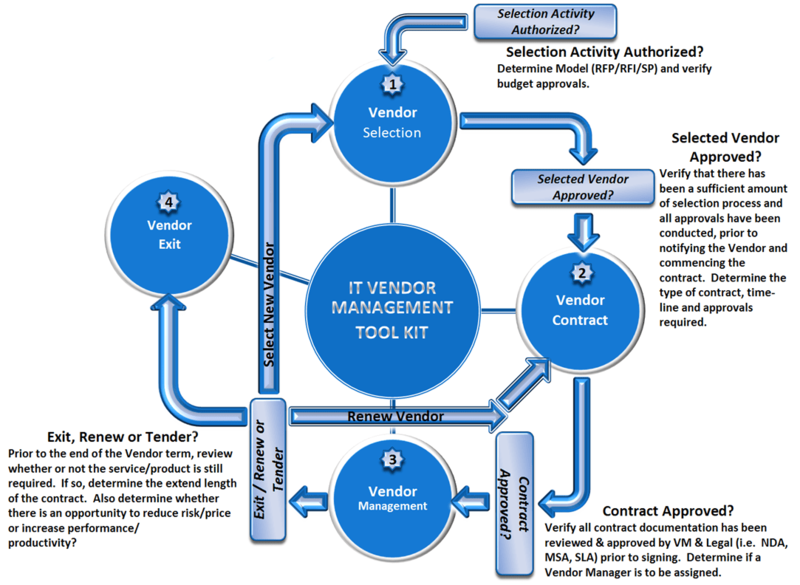 We view vendor management as a life cycle that, over time, will result in increased customer satisfaction, cost savings, opportunity for innovation, and stronger performance of technology projects. We utilize only the most experienced personnel and apply proprietary tool kits that encapsulate best practices, blueprints and templates. Unlike some other IT consulting firms who don’t actually do what they propose, R3P applies a deep, end-to-end approach that takes full accountability from the development of the business case through implementation and final transformation; even if that means two years down the road.